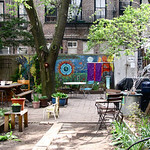 The community garden acts as a meeting place for the block/ neighborhood. Members are required to abide by the rules and respect others. When any type of problem emerges, they hold a meeting and attempt to solve the problem or have a representative/ director from the board introduce it at the next meeting. 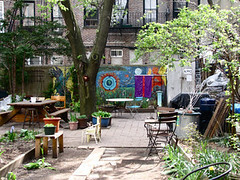 Their goal is to change the atmosphere of the neighborhood, to represent it as a social gathering place, and to give members an incentive to be active. They schedule many activities such as dance parties and annual swap sales to help achieve their goal. These events change the atmosphere while encouraging people to interact with neighbors more often.